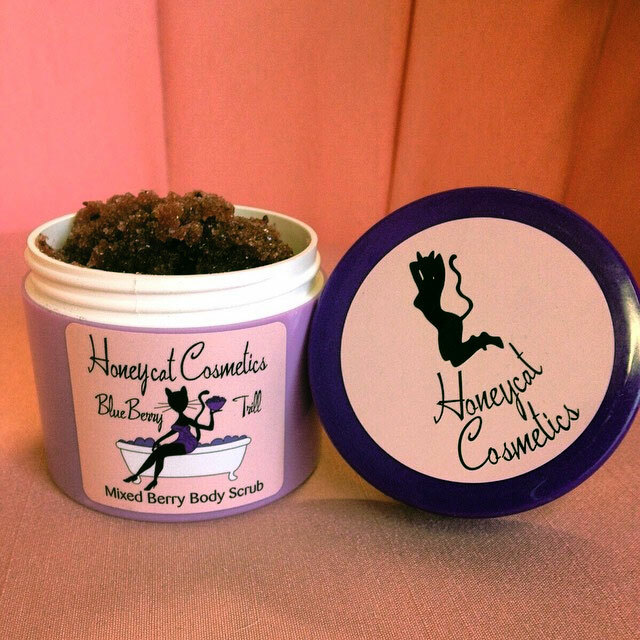 View cart “Blueberry Trill Body Scrub” has been added to your cart. Here’s a little darling that we think is simply divine! 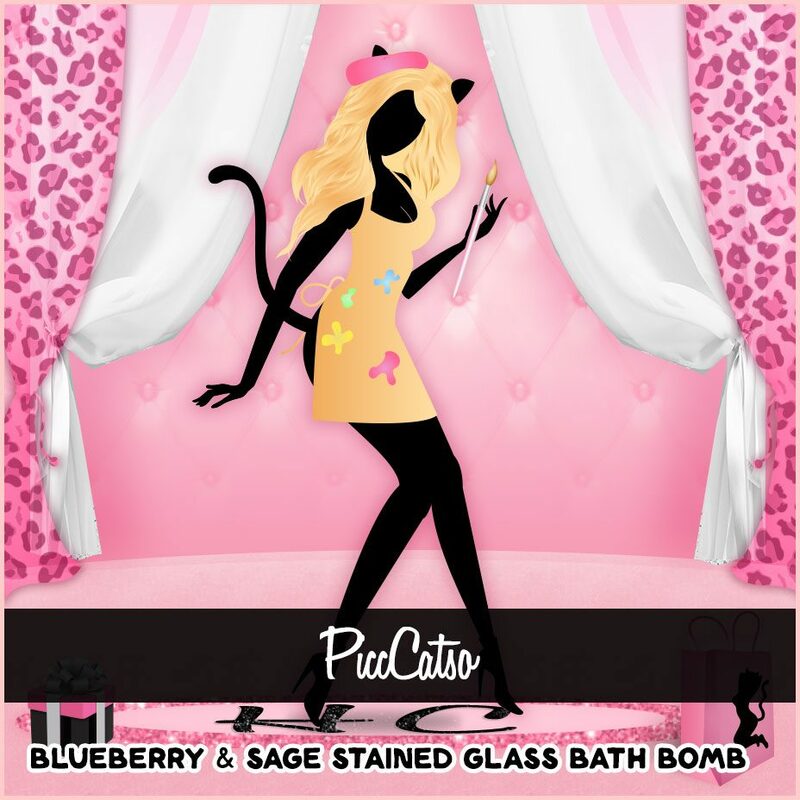 My new ” PICCATSO” blueberry & sage stained glass bath bomb. I spent days ( well, not really..giggle ) creating this work of art just for you Boo! Mmm, sun ripened blueberries and a pinch of sage. Oh yes Doll, this one is to purr about! 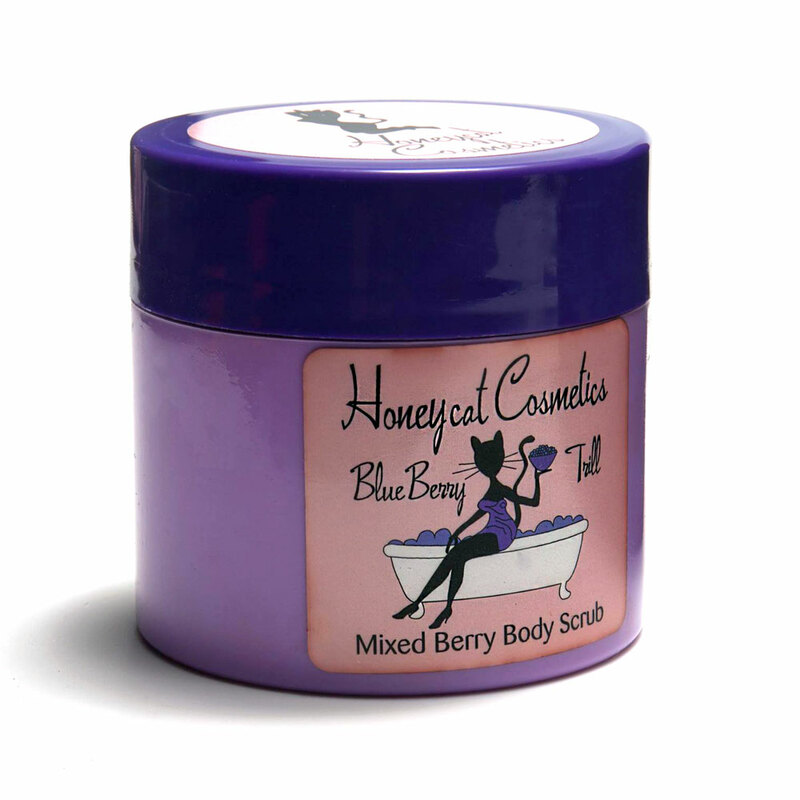 Mixed Berry Trill Body cream: Here’s a body cream that’s sure to make you the cat’s meow! Blueberries, Raspberries, Strawberries, in a rich buttercream…yeah baby! Stuffed with just the best lil old ingredients. Sweet Almond Oil, Avocado Oil, Macadamia Oil. 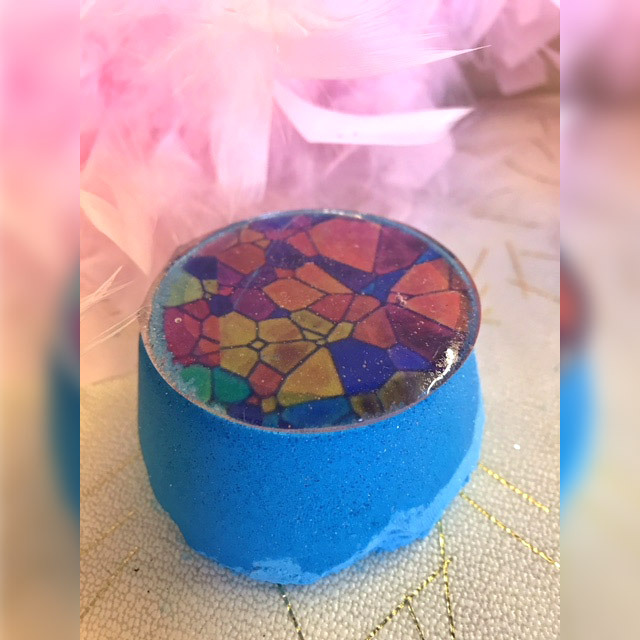 This is just the thing to leave you soft and smooth all over! I’m telling you darlings, it’s berry, berry good! Got the blues, and that ain’t bad! Not with my New, Holiday blues gift set. Simply delicious! Sun ripened berries with a hint of vanilla, and cream, a recipe that’s sure to kick start a serious purr-a-thon! 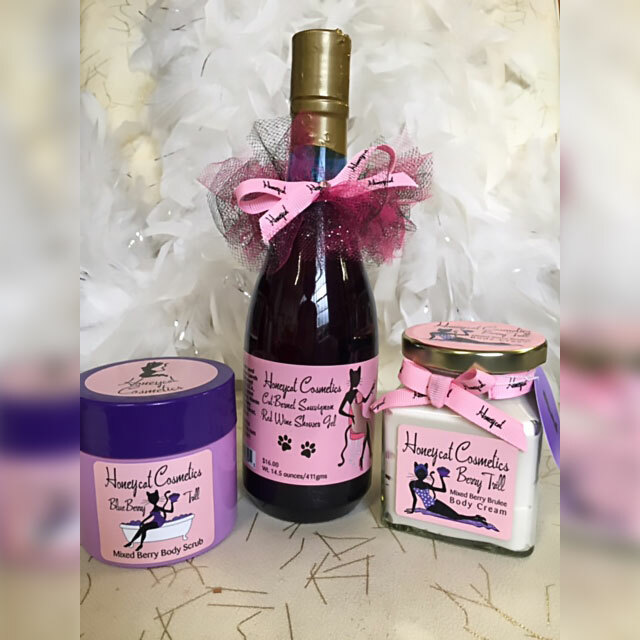 You get a 14oz bottle of, “Cat-Bernet Sauvignon” red wine scented, super moisturizing shower gel, 9 oz jar of, “Mixed Berry Trill” mixed berry brûlée body cream, and a 4 oz jar of ” Blueberry Trill” blueberries, and cream body scrub! Uh Oh! I hear you purring already!